The fountain will be in operation from March until October each year and even cleans its own pipes every half hours. Samples will be taken once a month to check the water quality. It is considered to be the first public drinking water fountain in the town. 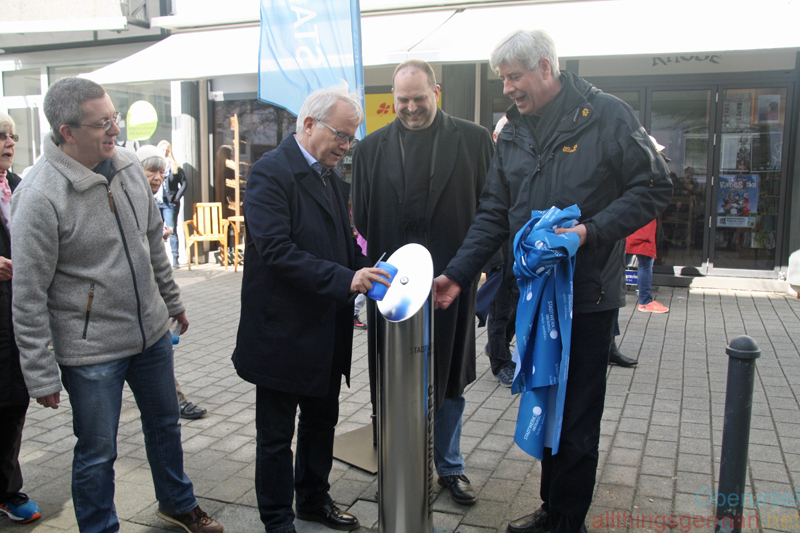 The Stadtwerke were giving away re-usable cups to passers by on the first day of operation. In future, users will need to bring their own.